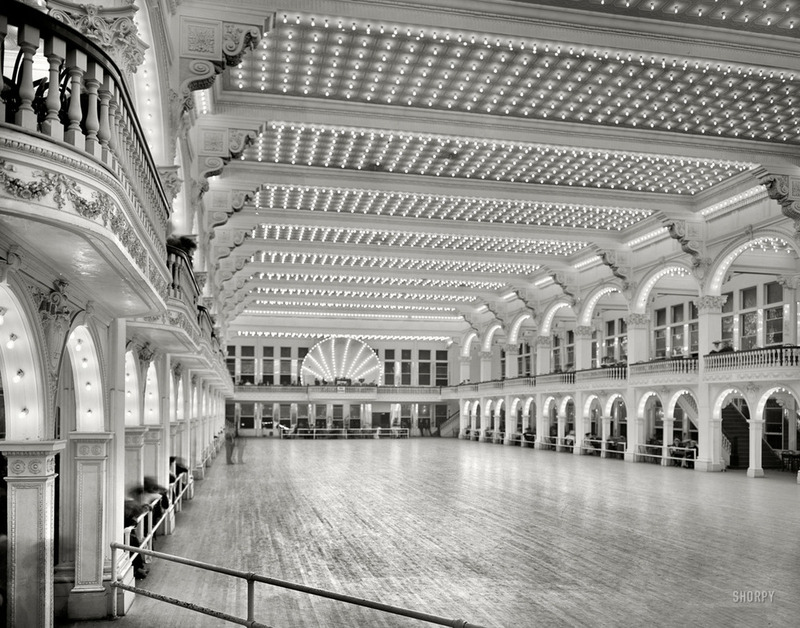 Dreamland’s 20,000 square foot ballroom, photographed in 1905. Built on the old Iron Pier, the ballroom would have been open to the sea on three sides, which hopefully helped cool off what must have been amazingly hot lights. Imagine the effort in maintaining all those bulbs!